Reverend Jim Jones and the People Temple Research Papers discuss one of the worst tragedies connected with cults. Research papers on Reverend Jim Jones and the People's Temple focus on the famous cult and its leader. Custom written research papers from Paper Masters can be written on any major religious figure or religion. 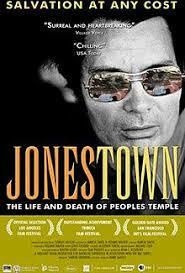 Jonestown is remembered as the place of one of the worst tragedies associated with cults in American history. Although a number of other cults are associated with mass deaths, none have neared the death toll at Jonestown. Cults are associated with leaders capable of inspiring others to follow a doctrine out of the bounds of the accepted norm, and of followers who seek membership for a variety of reasons. Cults have long captured the interest of psychologists and social scientists. The research cult is used to define certain social movements based on collective behavior. A religious cult is usually defined as a small group of people whose beliefs, practices and values are outside of the accepted norm. According to a research paper on Reverend Jim Jones and the People's Temple, a cult is “a deviant organized action, generally rather restricted and temporary, in which the individual zealously devotes himself to some leader or ideal". A cult forms when a number of individuals “buy in” to the philosophy of a particular individual. Although a variety of reasons have been posed for exactly why individuals join cults, one of the most popular is that these individuals identify with the other members of the group and depend upon the whole for social support. There are several ways to identify a cult from other types of groups. Members are discouraged from creative and critical thinking. One of the most infamous cults was that of Jim Jones and his Peoples Temple that originated in the United States and later moved to Guyana. Jones had a long history of religious endeavors. In 1954, he started the Community Unity church in Indianapolis in a rented building. The church was later named the Wings of Deliverance Church. In 1955, Jones and his wife bought another building to serve as a permanent home for the church. In the same year, the name of the church was changed once again to the Peoples Temple Full Gospel Church. Cult Comparison in Film - research papers discuss the glamorized perspective of cult comparisons such as Jim Jones of the People's Temple and David Koresh of the Branch Davidians. System of Beliefs or Practices Research Papers delve into an order placed on a religion research paper on different beliefs with specific format instructions. The Cult of the Saints Research Papers look at a book by Peter Brown about the role of dead human beings in the joining of Heaven and Earth. Christian Science - Christian Scientists believe they are part of mainstream Christianity, however many consider Christian Science as a cult movement. Order a research paper on Christian Science from Paper Masters. Paper Masters writes custom research papers on Reverend Jim Jones and the People Temple and discuss one of the worst tragedies connected with cults.